Want a chance at winning Lakers tickets? With LeBron in the fold, the purple and gold is on the rise! You could win a pair of tickets to see the new, exciting version of the Los Angeles Lakers as they make their postseason push – and be a real superstar for patients in need. 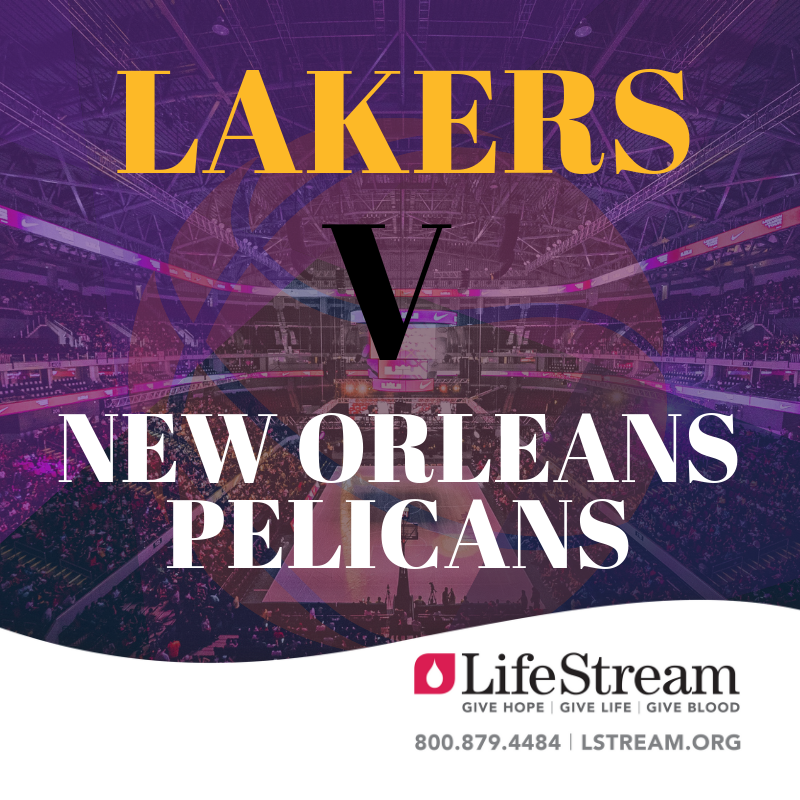 Donate blood (whole blood or via apheresis) at a LifeStream donor center or mobile drive January 25-February 18 for a chance to win a pair of tickets of the Lakers’ February 27 game at Staples Center against the New Orleans Pelicans. IMPORTANT: Be sure to give the code “LAKERS” at registration. TIP: Increase your chances to win! Platelets* can be donated as often as every 7 days. Every donation made January 25-February 18 is another entry in the sweepstakes drawing! Save lives + a chance to win Lakers tickets = slam dunk. *Appointments are required for platelets donations. To schedule an appointment for one of the following drives, please click on the button above or call 800.879.4484.